Prosecutors postponed the reading of the sentence demand against Jakarta Governor Basuki “Ahok” Tjahaja Purnama until April 20, a day after the runoff, saying they have not yet finished typing the demand. Plenty of pages to type huh? Guilty verdicts expected then fired by mendagri. In 2017 people are sent to court for… blasphemy ? 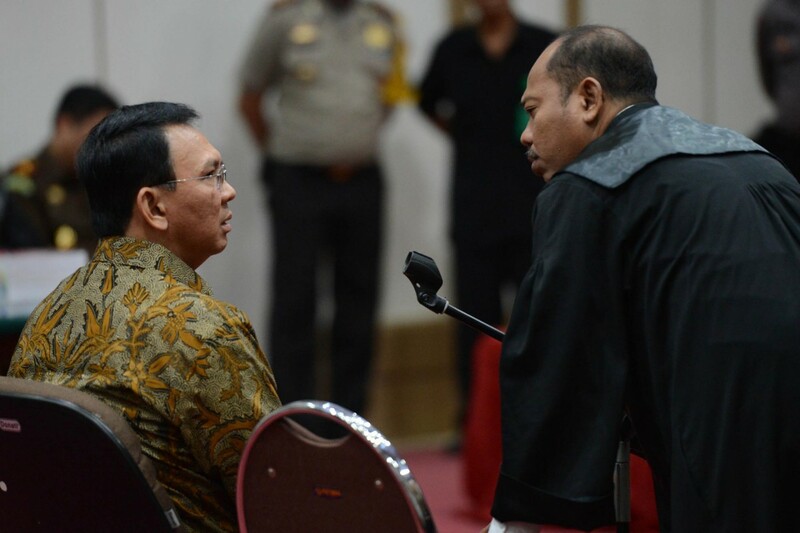 Once Ahok declared as the next Guberner and all these sh*t Will be over ! ? So is it the case that if the prosecutors sentence demand is for a conviction carrying an over five year sentence Ahok at this point can be temporarily disqualified if he has in fact once the election held the day before? Guess the Jaksa is still learning how to spell and write…. retarded bunch they are. Well? After all BTP has been through, you JPU decided to postpone on reading your own sentence demand? …….